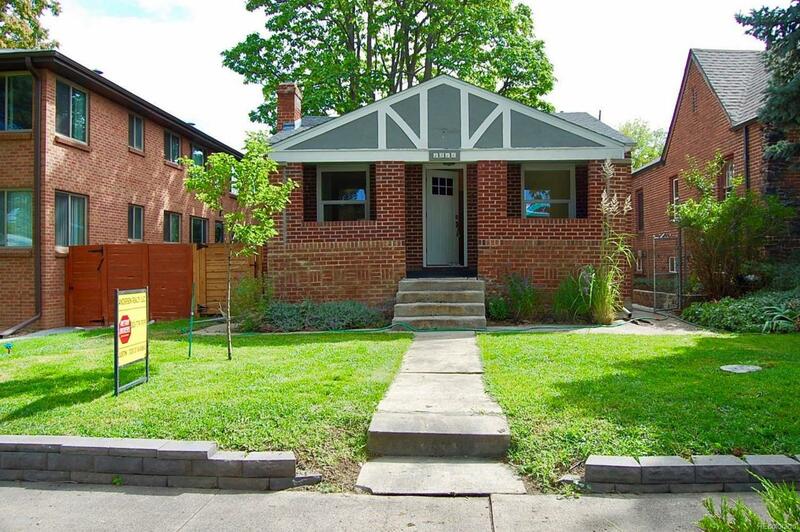 Charming brick bungalow in the heart of South Park Hill! Fabulous Denver location within walking distance to all the trendy shops and restaurants that the East Colfax corridor has to offer such as Nuggs Ice Cream, The Elm, Chop Shop, Marczyk's, DJ's Cafe, Elevated Yoga and more! You are within minutes of Congress Park, Capitol Hill, City Park, Downtown, and the redevelopment at 9th and Colorado. Classy home features wood floors, elegant trim, updated bathrooms, large yard, beautiful windows flooded with natural light. Basement features a "studio" type mother in law suite with three-quarter bath and small kitchen. Great opportunity to own this move-in ready bungalow. Take a look! Offered by Mb Andersen Realty Llc.